Just about everyone experiences an Atkins weight loss plateau during Phase 2 or 3, with the duration varying from a week to a few weeks. 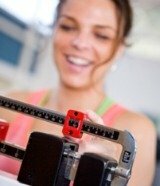 Here are some tips to help get back on the weight-loss track. Go back to the Induction Phase if you have reached a temporary weight loss plateau in the later phases of the Atkins diet plan. This will put your carb count back below 20 grams per day. It’s normal to have lapses in your food choice and eat too many carbs. Write it down! Don’t guess — record the number of carbs and calories you eat every day. By keeping track of your daily food intake you can see exactly where the problems are, as well as better plan the carb allotment for the day. Studies show that people who keep a daily journal of how much they eat tend to lose more weight and at a faster rate than people who don’t. Drink more water. Getting 8 glasses of water or more every day is stressed on all diet plans, and especially this diet. The Atkins weight loss plateau can signal that you might be eating too many carbs which can signal hunger pains. Drinking more water will help you feel full as well as hydrate your system. Start exercising. You know the advantages of diet and exercise, so get going. A good aerobic workout several times a week will improve your metabolism and give you an overall sense of well-being. You’ll sleep better, feel better, and look better if you set aside 3 to 6 or more hours a week to walk, ride a bike, swim, join a spinning class, take up Tae Bo, or any number of cardio activities. Add weightlifting to your weekly routine. Your body needs weight-bearing exercise to build muscle and strengthen the skeletal bones to prevent osteoarthritis. Strength training, resistance training, or whatever you want to call it, will help you ramp up the intensity of your fitness program. Make your body work during 20-minute sessions 2 or 3 times a week to take off inches and pounds. 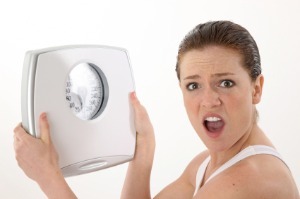 Weightlifting is a sure Atkins weight loss plateau buster! The Atkins weight loss plateau occurs normally as we loss weight in a descending stair-step fashion going from a higher weight “set point” to a lower one. Once you reach your goal weight and eat to maintain it, it may take your body a year or longer to fully reset itself to the new set point. This will be a weight range in which metabolic hormones and fat cell enzymes are comfortably controlled. So until you reach the Atkins maintenance phase, stay motivated, and follow the 5 tips listed here if you need to re-group and continue on your weight loss journey. Good luck.